In early April 1984, a massive multi-agency and multi-national investigation culminated with the arrests of nearly three-dozen Mafia members and associates, and search warrants that netted drug paraphernalia, immense amounts of cash and weapons, and a trove of incriminating documents. The Pizza Connection was no more. The Federal Bureau of Investigation recently celebrated the 35th anniversary of the historic takedown. The case, granted that ignominious moniker—The Pizza Connection—by journalists chronicling it due to the frequent use of pizza parlors as fronts for drug sales, “was enormously complex and laborious,” the FBI noted. According to federal prosecutors, which included Manhattan U.S. Attorney Rudy Giuliani, the 22 defendants that eventually went to trial were part of a vast, long-running drug conspiracy that touched four continents. The scheme involved purchasing morphine base from suppliers in Turkey, processing it into heroin in Sicily, smuggling it into the U.S., and then selling it through pizza shops and other Mafia-run businesses stretching from New York to Illinois and Wisconsin. Cocaine was also being imported from South America as part of the operation. And it was quite the lucrative business, according to authorities. From January 1975 until April 1984, an estimated $1.6 billion worth of heroin was shipped to the U.S. in the plot. The cash profits were then illegally laundered through a web of banks and brokerages here and overseas. Federal officials noted that among the 22 men charged in the extensive case were Gaetano Badalamenti, the former top boss of the Sicilian Mafia; and Salvatore “Toto” Catalano, the owner of the now-defunct Catalano Bros. Bakery on Metropolitan Avenue in Middle Village and San Giuseppe Pizza in Forest Hills—and a major figure in the Bonanno organized crime family. 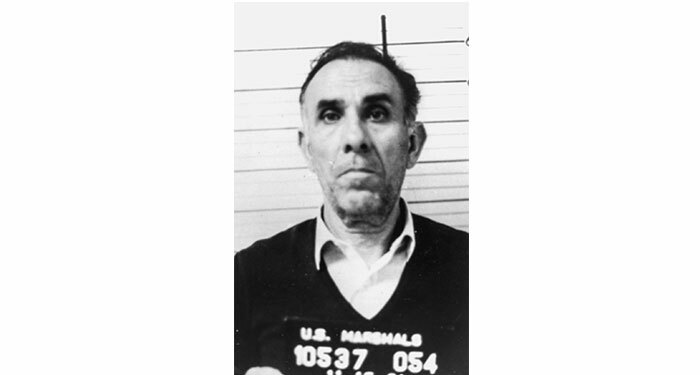 Iconic undercover FBI Agent Joe Pistone, who famously infiltrated the Bonannos in 1976 as “Donnie Brasco,” delivered “crucial intelligence” that helped set the mammoth case in motion, according to the FBI. Over time, the investigation garnered contributions from the NYPD, the Drug Enforcement Administration, U.S. Customs, and international authorities (including FBI international legal attaché offices) in Italy, Sicily, Spain, Switzerland, Turkey, Brazil, Canada, Great Britain, Germany, and Mexico. Over more than four years, authorities gathered a mountain of records and evidence and utilized an array of investigative capabilities. They conducted surveillance on multiple players on multiple continents, sometimes around the clock. They traced and analyzed thousands of telephone calls, often from remote pay phones. (The phone outside Catalano’s bakery yielded conspiratorial conversations that implicated dozens of gangsters.) Since those involved mostly spoke Sicilian and used coded phrases to conceal their true activities, turning their many covert conversations into plain English was especially challenging, the feds noted, requiring a team of expert translators from the FBI and elsewhere. The trial began on Oct. 24, 1985, with 22 defendants, all Sicilian-born men. As the government made its case over 16 months—the longest criminal jury trial in U.S. history to this day—two men pleaded guilty to lesser charges and one was murdered. That left 19 defendants by the time the jury delivered its verdict on March 2, 1987. All but one of the final 19 defendants were convicted.